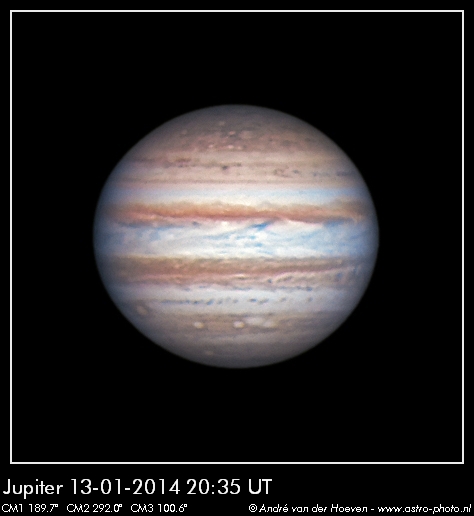 This is my best Jupiter image until now I think. Yesterday I caught about 8 RGB series with my C11 and a 2.5x powermate of Jupiter consisting of 3 movies of 20s @ 60 fps. Using Winjupos I derotated them and combined all of them which gave this result. I’m astonished how good the seeing was yesterday. So this was 8×1200 = 9600 frames per channel with a DMK21-618, the best 40% was used.